Many more wonderful words there, and at its frequent source, the remarkable Ragbag. As we luxuriate in language, we might recall that it was on this date in 1984 that noted slinger of mots Prince Charles threw a wrench into plans to build an addition onto England’s National Gallery. The museum had held a competition for designs, and tentatively settled on plans drawn by Ahrends, Burton and Koralek (with elements from the high-tech scheme of Richard Rogers). The Prince, on reviewing the drawings, pronounced them a “monstrous carbuncle on the face of a much-loved and elegant friend.” His pronouncement sparked spirited dialogue, both on the proper role of the Royal Family and on the state of modern architecture. Indeed, “monstrous carbuncle” has become a common descriptor for a modern building that clashes with its surroundings. The ABK plans were withdrawn, and the Gallery went back to the drawing board. 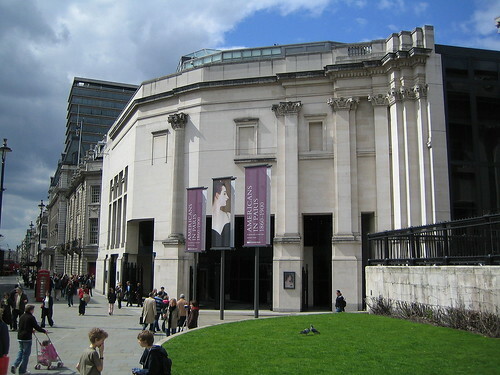 In 1991 they opened The Sainsbury Wing, designed by the architects Robert Venturi and Denise Scott Brown.